For both public health and environmental safety, it is vital to collect medical sharps for proper disposal. 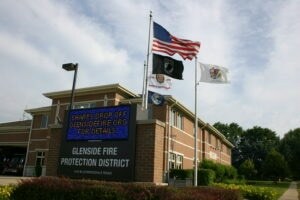 The Glenside Fire Protection District in Glendale Heights operates one of the few sharps collections in DuPage County. 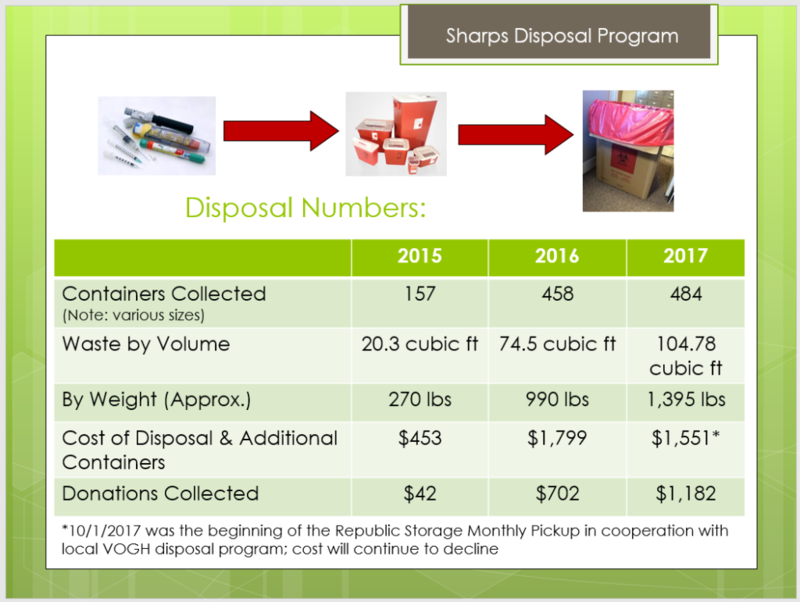 In 2017, the program collected 1,395 lbs of sharps (check out more stats below). The program was started thanks to a grant from SCARCE and the DuPage Foundation. In addition to coordinating the program, staff member Laura Haiden has met with six more fire districts to advocate for additional collection options. Thank you Laura and Chief Russel Cassady for all you do for the safety of our community and the environment! View the guidelines for disposing of your sharps. The program is free for residents of the Glenside Fire Protection District. There is a per container fee for non-residents. So far this season, the program has recycled over 30,000lbs of holiday lights! Kudos goes out to all the municipalities and organizations offering light recycling programs to residents, Elgin Recycling, and, of course, to those residents taking the steps to responsibly dispose of their unwanted lights. Way to go! 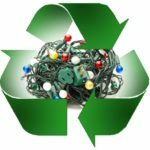 As spring nears, holiday light recycling programs taper off until next season. SCARCE is happy to accept holiday lights for recycling year-round.